Pro Travel Photographer. 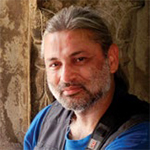 Photo Jurist. Photo Educator. For me, it was an eventful July this year. Actually, just calling it eventful would be an understatement, as I became a part of 2 new India records that were set up. These will be featured in the next release of India Book of Records. Read on to know the details. 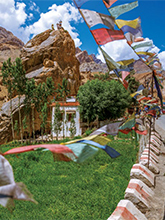 In the last week of June, Vineet Rajan of ScoutMyTrip (SMT) called and invited me for a road trip to Ladakh. During this preliminary call, he did not divulge the details. All he mentioned was the involvement of a hospitality chain. 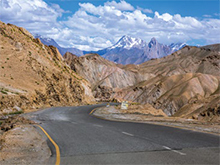 Although it was going to be my third trip to Ladakh, the excitement of road trip through this rugged terrain immediately engulfed me. 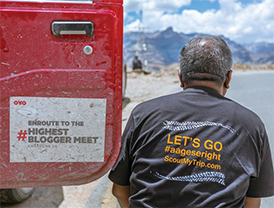 It was in a subsequent call that he talked about ScoutMyTrip’s ambitious plan of holding a travel blogger’s meet in Khardung La. OYO Rooms was sponsoring this never-before initiative. 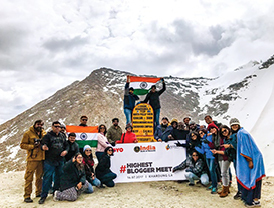 A successful execution of the plan would mean creation of the records for the ‘First Blogger Meet at Khardung La’ and the ‘Highest Blogger Meet’at an altitude of 17,562-ft. (Khardung La is wrongly attributed an altitude of 18,380-ft.). 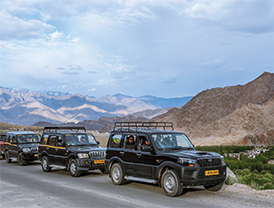 A convoy of SUVs set out for Khardung La on 11th July 2017. SMT’s scouts were driving these vehicles. 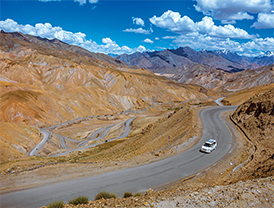 Their cumulative driving experience exceeded a million kilometres – much of it on tough mountainous terrains across the length and breadth of India. 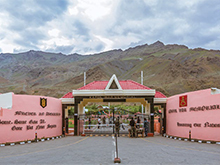 The planned route for this 11-day trip was – Gurgaon-Jammu-Sonamarg- Kargil-Leh-Hundar-Pangong Tso-Tso Moriri-Keylong-Manali-Gurgaon. OYO Rooms had organised our stay along this entire itinerary, mostly in their own properties. But as the saying goes – Man proposes; God disposes. While there was a planned itinerary, the turn of events along the way ensured not all would go as planned. Did I mention a roller coaster of a trip? Our first day on the road was long as we made our way from Gurgaon to Jammu, with mandatory ‘Parantha’ stop at Moorthal. Once we reached Jammu, we heard the news of landslides after Banihal Pass. Despite that, next morning, we drove off early. We got past the 9.2-km long Chenani-Nashri Tunnel (also called the Patnitop Tunnel) that was inaugurated by our Prime Minister in April 2017 and reached Ramban in good time. And it was here that our plan changed. The J&K Police had stopped all traffic in Ramban because of continuing landslides between Ramban and Anantnag. Our Day 2 was mercilessly cut short! 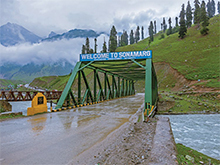 After spending a night here, we moved out the next morning ditching our plan of staying at Sonamarg, and instead, decided to drive straight to Kargil. 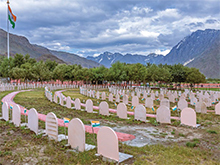 Besides a brief stop at Dal Lake in Srinagar, we also stopped by at the Kargil War Memorial to pay obeisance to the Kargil War martyrs. 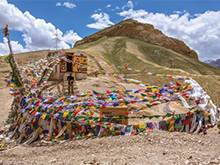 This was the day we crossed the famous Zoji La (Zoji Pass).